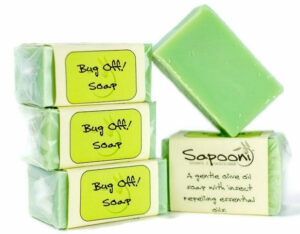 Formulated to help ease the symptoms of eczema and other dry, itchy skin conditions. It’s gentle and moisturising, with a rich creamy lather and naturally soothing ingredients. 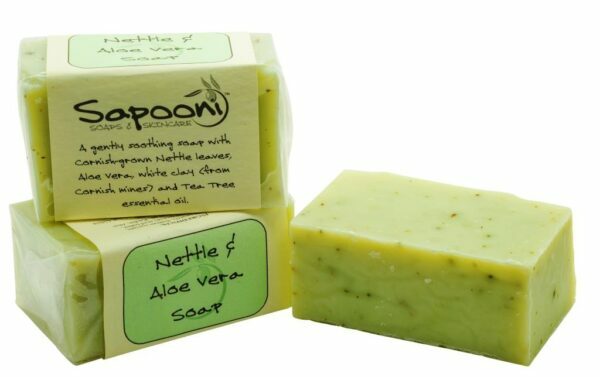 Stinging Nettles; Nettles are reputed to help in the treatment of eczema and other itchy skin conditions, so we’ve made this soap with an infusion of nettle leaves,and added a handful of the chopped leaves to the finished soap. Nettle leaves are also used as a natural cleanser. Our nettles are harvested in the beautiful Tregothnan estate in Cornwall. Aloe Vera; Widely used as a cooling, soothing aid to healing processes, and used to treat skin conditions such as dermatitis, wounds and burns. 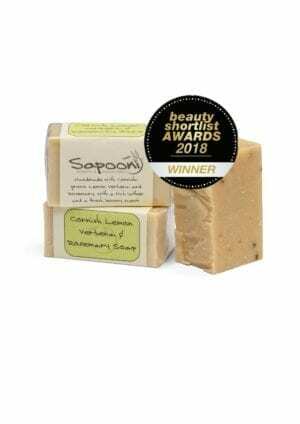 Cocoa butter; A deeply penetrating moisturiser, good for dry skin. Glycerine; Our soap contains natural glycerine as part of the soap-making process, and we add extra vegetable-based glycerine to capture even more of it’s moisture-sealing properties. 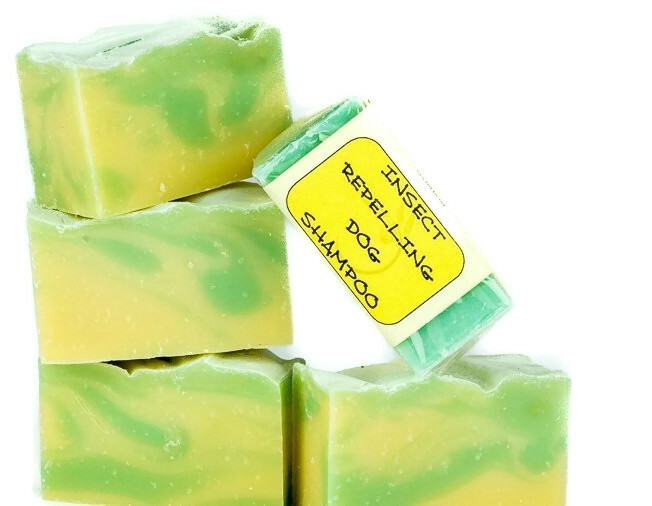 Tea Tree essential oil; Widely used as an antiseptic, helping to combat infection in cuts, wounds and chaps. Soap bar is 90g e.